The Almond Trees are in blossom! It’s such a glorious time of year. And every year as I write this blog my thoughts turn to the artists who loved almond blossoms just as much. Bonnard was known for his poetic-looking artwork, often done from memory and from an unusual vantage point. This painting, however, done a week before he died, was his last painting. It is one of the very few where the subject fills almost the whole frame. There is no ambiguity of message here. 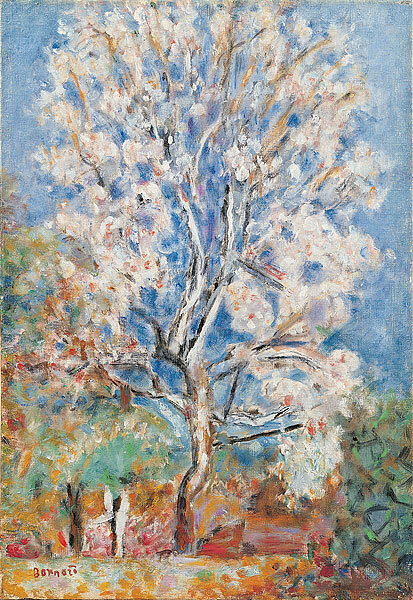 It is about the glory of this one almond tree that he delighted in seeing every day that he lived in this location.